Did the town's voters intend a hotel to replace the Grand Union in 2013 zoning revision, or more office space? WILLIAMSTOWN, Mass. -- A $12-million, 95-room chain hotel proposal is being proposed on land that was, until three years ago, zoned for residential use only -- and voters may have intended that it be used for office space. Town records show that, until the 2013 Town Meeting, the land on which the former Grand Union supermarket sits -- behind Cumberland Farms on State Road (Route 2), was too far from the road to be included in the commercial-zoned district. But in 2013, the town's voters agreed to amend zoning to change the parcel's zoning to "business" from "general residence." The approved article was accompanied in the Town Warrant by the following explanation: "This bylaw amendment will rezone one parcel and a small portion of another parcel that are currently zoned as residential space but used as a business space. Occupying these parcels are the former Grand Union Building and the Chopsticks Restaurant. This zoning reclassification will greatly enhance economic opportunity by allow additional office uses at the Grand Union Building." However, now a hotel is proposed for that land, not "additional office uses." Would that frustrate the intent of the town's voters? It will be up to the Zoning Board of Appeals to decide at its Jan. 19 meeting. "What this article is doing is also reflecting what is sort of defacto situation right now which is where Chopsticks is and the old Grand Union, which was Litchfield, I think you all know it behind Cumberland Farms. Those two lots are currently zoned General Residence. But they are abutting the Limited Business District and they are now acting as businesses, and it would be much easier for those businesses if they were zoned as planned business. So we would like to, and the planning board feels that this is appropriate. So we hope you will vote in favor of changing those two lots to Planned Business." There was no discussion and the item passed on a two-thirds voice vote. WILLIAMSTOWN, Mass. -- Calling the issue an ethical matter, a retired epidemiologist and Williams College graduate is calling for Massachusetts educators to support adoption of non-contact, non-tackle football in high-school play, citing increasing evidence about the long-term effect on concussive blows to the head. Dr. Nicholas H. Wright, says the damage to young brains -- first discovered in the post-death brain tissue of professional football players -- is "an epidemic in slow motion" and that traumatic, long-term injury "has been found in the brains of football players who have never played beyond the high-school level." Wright's comments were contained in remarks he delivered to the Mount Greylock Regional School District board on Tues., Nov. 15 in regular session. (LINK TO FULL TEXT OF COMMENTS). 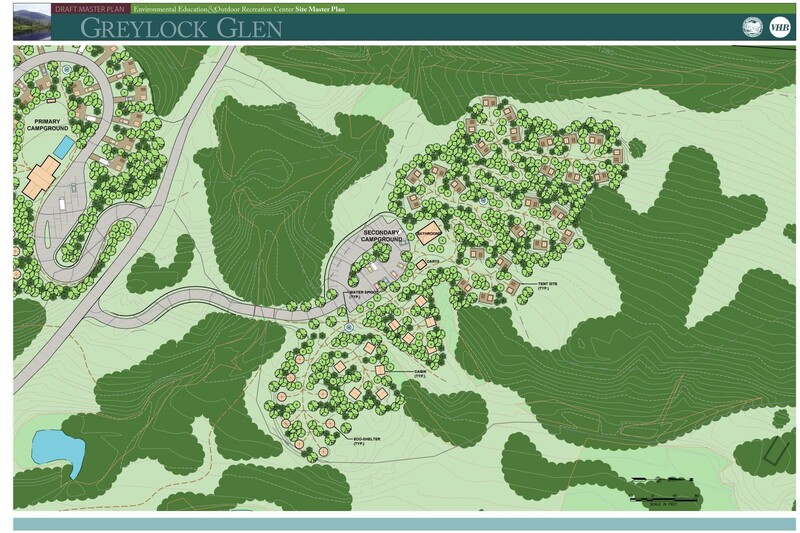 The clock is ticking down to Dec. 15 -- deadline for eco-tourism entrepreneurs to submit a proposal to the town of Adams to develop the first-phase of the Greylock Glen project. 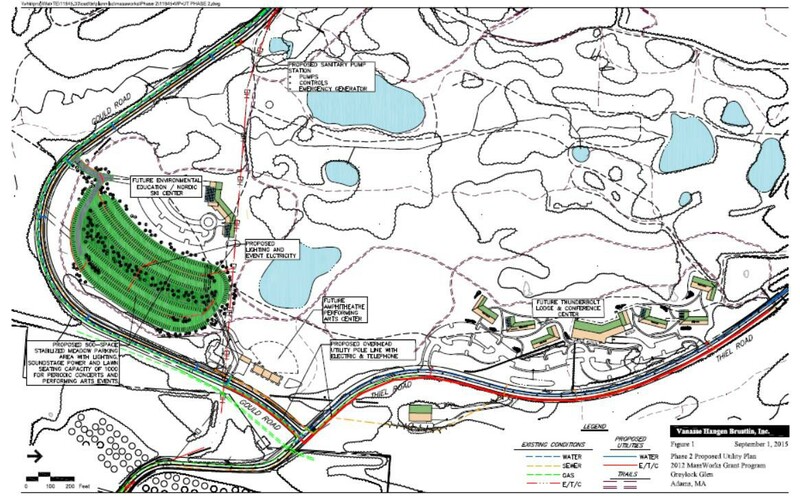 The town is offering all kinds of assistance, including financing, and is even suggesting a public-private partnership to get something going on the 1,063-acre parcel which abuts the state's highest peak. MassMoCA and MCLA have been part of the planning process. The Berkshire Eagle published a piece today, and a longer version of the same story, with embedded links, can be read and printed (as a PDF) from HERE. 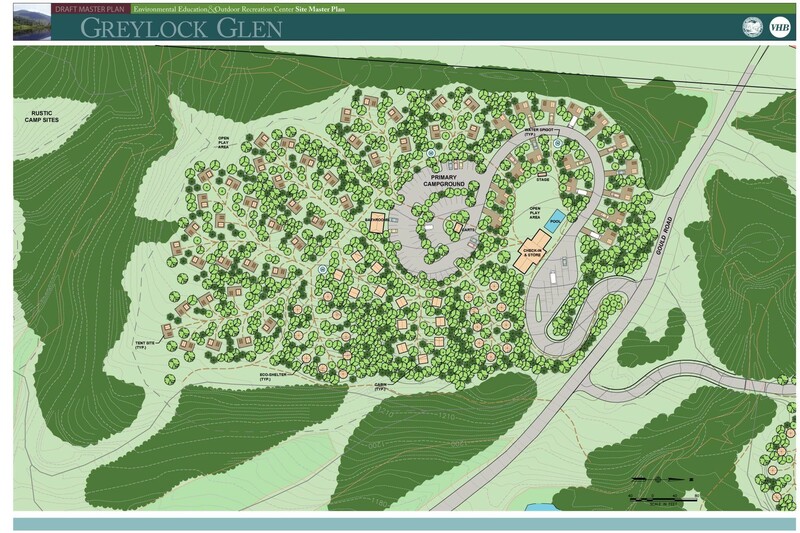 This link: http: http://newshare.com/greylock-glen will also take your browser to a directory linking to a set of photos, demographic charts, the full-build site plan and drawing of the primary, and secondary campsites. It's all laid out -- ready for some entrepreneurial enthusiasm about the future of Adams and the Greylock region. Who will step up? WILLIAMSTOWN, Mass. – Three-thousand miles in 60 days – by bicycle – to learn about how to bring America together again. That’s the mission of four millennial voters, who pedaled through Williamstown and stopped overnight Sept,. 9 just three days into their quest to help Hillary Clinton be elected president -- and learn something about their fellow citizens in the process. “Riding Hills for Hillary,” or “bikingforhillary.com” for short, is the name of an expedition launched by two former employees of a Williamstown-based outdoor-adventure outfitter – one 26 and one 23 -- and two other 23-year-olds. Three members of the foursome just graduated from The Colorado College. The instigator of the trek is Meredith Bird, 23, who grew up in Andover, Mass., and now lives in Boston. A Colorado College graduate she also worked two seasons for Overland as a trip leader. Bird says the point of the trip is not to prostelytize for Clinton, but to listen and write about what they learn. They're website will chronicle their daily conversations with the public as they camp, accept overnight accommodations from friends, and spend some time in so-called “battleground” states canvassing or making phone calls for the Democratic presidential nominee. Bird says a second goal is to meet people in places she doesn’t know very well. And a third mission is to understand – and perhaps help mend – what’s dividing America. The foursome are far from the first people to bicycle across America, or to push themselves to do so quickly – averaging 80 miles a day, with a large share of 100-mile days along the way because of stops for interviewing and politicking. What’s unique about this trip, however, is their commitment to listen to the nation’s political pulse, encourage millennial voters to turn out, and do so with the capabilities of social media. A Flickr.com page will accumulate still phones and videos of what they learn and who they talk to as they pedal. There's also an Instagram account. A Facebook page will include ongoing updates. Another goal of the cyclers is to be approachable to people with all political views and to not to push a point of view if people aren’t receptive or open to listening. The size of the trek may grow. The first couple of weeks of the trip are already mapped out. The team started on Tuesday in Portsmouth, N.H., and was taking two days to campaign in Concord, N.H. From there they were overnighting in Brattleboro, Vt., before passing through North Adams and overnighting in Williamstown on Friday. Then it is off along the Erie Canal across upstate New York, south to Pittsburgh, and west to Columbus, Ohio. From there the exact itinerary is still being mapped out. The foursome plans to post their progress regularly, to try and encourage media coverage in communities they reach, and they might even invite additional bicyclists to join them along parts of the route. Bird is no stranger to travel. She won a prestigious Watson Fellowship upon graduation from Colorado College, enabling her to spend a $30,000 grant and 12 months studying food systems in nine countries around the globe -– an extension of her college major work. She traveled and wrote about in Spain, Uganda, Rwanda, Tanzania, India, Napa, Ireland, Norway and Martinique. The Watson rules require travel independent of any organization. Bird is joined on the trip by three other friends – two fellow graduates of Colorado College, and a former fellow employee of Overland Summers Bike Trips and Tours of Williamstown, Mass., although the trek is unaffiliated with Overland. Michael Bienkowski, 26, from Lexington, Mass. He has been a team leader for Overland and taught at the Salisbury School, a private boarding school in Connecticut. He has crossed the country two or three times already. Jamie Daudon, 23, of Seattle, the second Colorado College graduate, whose interdisciplinary major was in politics, philosophy and economics. Since graduation, he has worked in Nepal, creating a youth after-school program. Each cyclist will carry about 30 pounds in rear saddle bags – a combination of tents, sleeping bags, minimal clothes and enough food to get through a day or two between rest stops. There will be a few tools and a spare tire or two, one cook stove, and a few pots and pans for when they have to camp. At various points, family or friends may join with support automobiles – especially crossing the Nevada desert in late October. Although the trip was planned by the foursome as an independent effort, they were able to purchase matching red bicycles – used – from Overland. Bird got the ball rolling for the trip because of what she describes as her nervousness about the November election. “We view it as becoming a great victory for progressive policies -- or a disaster for this country and its international reputation,” she says. “We want to something creative and fun -- a way of getting other millennials enthusiastic, because they are key to this election.” For that reason, they are making sure to cross so-called political “swing states” – New Hampshire, Pennsylvania, Ohio, Iowa, Colorado and Nevada – ending in San Francisco right before Nov. 8. Feldman says he’s motivated to bike for Hilllary because his parents -– both architects –- were hikers and gardeners and encouraged a concern for the natural world. Feldman sees political action as a way to promote health and the environment. WILLIAMSTOWN, Mass. – The Berkshire Eagle has created 22 new jobs in Pittsfield, and three new reporting positions, since it returned May 2 to local ownership and is now able to “stop the presses” for major news, its chief executive told a gathering of Rotarians on Tuesday. Under two decades of chain ownership, “no one was stopping the presses for a fire in Pittsfield,” said Frederic Rutberg, a retired state-court judge who serves as president of New England Newspapers Inc., The Eagle’s owner. “It wasn’t going to happen.” He said later deadlines may also allow the return of some late-game stories and scores. In a talk to about 20 people at the Williams Inn, Rutberg said he had set a goal of speaking to every Rotary Club in the Berkshires. He said readers should expect to see significant changes in how the paper looks within 60-90 days as a series of production and business services outsourced to Michigan, Connecticut, Colorado and Pennsylvania return. Rutberg invited all of the region’s residents to “be our partners” by subscribing to the print or digital versions of the paper, by contributing news and information to help make The Eagle the “town square” of the Berkshires. He urged folks to tell friends about what they like in the paper, and “tell me what you don’t like” – offering his email address of president@berkshireeagle.com for feedback. He said new subscribers are being offered two weeks of the paper for free. “We hope to have a group of citizen journalists to cover meetings . . . to help beef up local coverage . . . that’s our goal,” said Rutberg. He said a recent survey showed that the news organization’s audience over age 55 almost exclusively reads the print daily, while those under 55 almost exclusively seek out its reports online either on The Eagle website or on Facebook, where some of its stories are posted. He said the owners know the paper’s own website is “horrible” and it will be upgraded within a month or so. Among upcoming changes, said Rutberg, will be a reversal of two of three trends over two decades. The paper has become smaller, thinner and the price went up. “We plan to reverse all that, but I’m afraid we can’t reverse the price,” he said. The owners have already added several additional news pagers per day, and plan to physically increase the width of the newsprint on the press, making pages wider. “We’re here to serve and we’re hear for the long haul,” said Rutberg. Taking questions, Rutberg was asked about the longterm prognosis for print newspapers. He said papers continue to be profitable and to be the mainstay of quality, investigative reporting. But he acknowledged that there will probably be a time when the print newsapaper becomes extinct or a niche product. “A newspaper is like a melting ice cube,” he said. “But we’re going to slow it down,” he said by delivering quality news and more of it, among other things, and by delivering information in other ways, too.